We worked with the fine folks at Signs To Go in Mt. 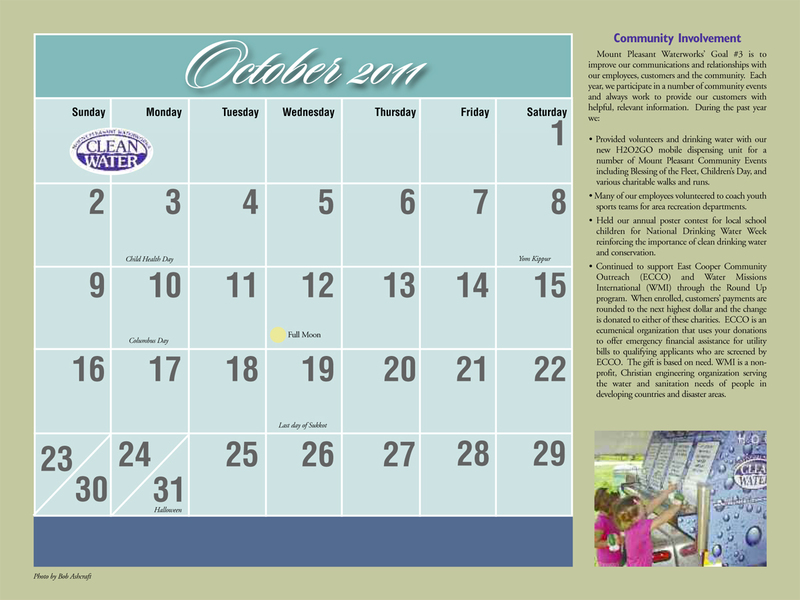 Pleasant to design the graphics for this mobile water station for Mt. Pleasant Public Works. 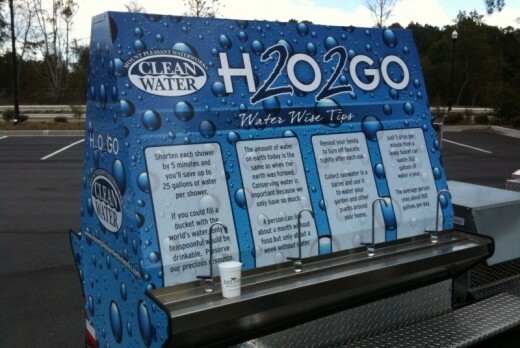 The H2O2GO mobile dispensing unit provides clean drinking water for a number of Mount Pleasant Community Events including Blessing of the Fleet, Children’s Day, and various charitable walks and runs. Featured in the MPW Calendar for October 2011.